NEW YORK TIMES BEST-SELLING SERIES. The eigth anthology of tales set in Eric Flint’s phenomenal Ring of Fire universe—all selected and edited by Flint. The most popular alternate history series of all continues. When an inexplicable cosmic disturbance hurls your town from twentieth century West Virginia back to seventeenth century Europe—and into the middle of the Thirty Years War—you'd better be adaptable to survive. And the natives of that time period, faced with American technology and politics, need to be equally adaptable. Here’s a generous helping of more stories of Grantville, the American town lost in time, and its impact on the people and societies of a tumultuous age. 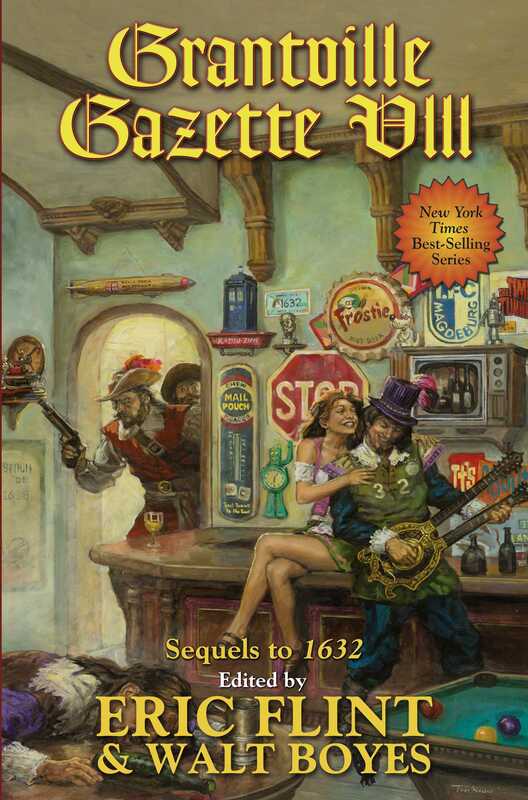 Edited by Eric Flint and Walt Boyes, the editor of the Grantville Gazette magazine from which the best selections are made, these are stories that fill in the pieces of the Ring of Fire series begun with Flint’s novel 1632. The setting has become a political, economic, social and cultural puzzle as supporting characters we meet in the novels get their own lives, loves and life-changing stories. The future and democracy have arrived with a bang—an historical explosion with a multitude of unforeseen consequences.